I must confess that I’m not really into gyms and my idea of working out is an hour on the treadmill before boredom sets in. For the past year though, I have taken up Nordic walking at the park in my neighbourhood. It’s a lovely park and I am usually there by 5.30am when joggers and qi gong practitioners start to trickle in. Nor do I bother much with workout clothing after walking into a sports shop and seeing the price tags on the tees, shorts and accessories. I’d just grab any comfortable old tee and team it with a pair of shorts. But recently, I came home to find two black boxes with the legend FITGEAR™ embossed on the top, sitting on the patio. I opened them and to my surprise, it contained three tees, a towel, a Flexbot water container and GoTubes (three dispenser bottles with suction caps for shampoo, conditioner and body wash). Maybe it’s a hint and my Secret Santa thinks I should look fashionable when I go my morning power walks. I couldn’t wait to try them out. The FITGEAR™ Wind-Tshirt is so lightweight and feels like silk to the touch. But it was only after I finished my 100 minutes of brisk walking that I really appreciated why this is a top-seller. Adding a huge smile to my morning was when a fellow jogger at the park told me: "Hey, looking good!" 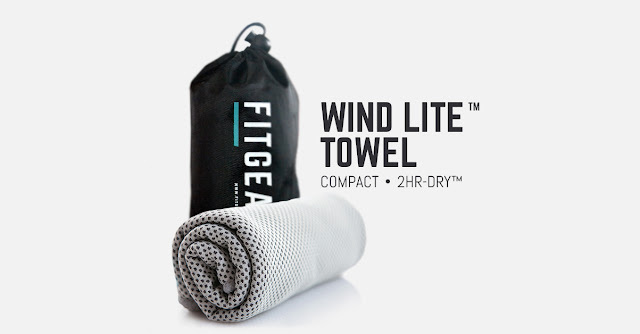 While my old cotton tees would be drenched and heavy with sweat after my walk and stick to my skin, the FITGEAR™ Wind T-Shirt was only wet to the touch. 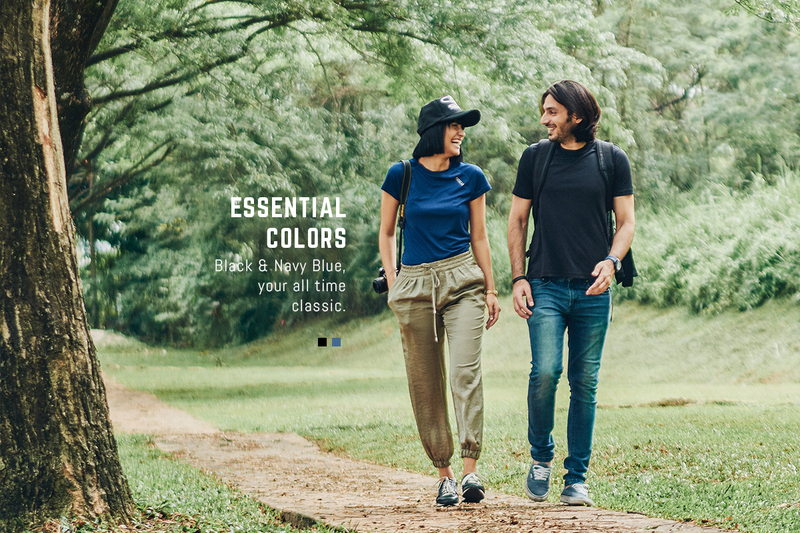 The double layer fabric construction design means the tee quickly absorbs moisture and yet, the water molecules are evaporated even as I walk, resulting in greater comfort. This is the wonder of FITGEAR™’s 2-hour-dry technology. I searched online and found out that FITGEAR™ is a new highly tenacious online-only apparel startup brand in Southeast Asia which delivers to over 16 countries. Within 6 months, its customer base had mushroomed from zero to 22,000. FITGEAR™ was founded by a group of international fashion designers who wanted to offer quality workout items at affordable prices. Its strategy is offering quality fabrics, basic essentials and low prices. It does that by eliminating the middleman (hidden costs of distributors, wholesalers, retailers etc) by getting the goods to the consumer directly. Even better, there’s a discount for orders of 3 items and above. Back to the tees. What I like about them is the simplicity of design. Short cap sleeves, round collar with the legend FITGEAR at the lower left shoulder. The back is bare of design except for a short blue line in the centre from the collar. Available colours are black and navy blue. In other words, what’s not to like about the Wind™ series of T-shirts? If you find plain colours too boring, there’s the Wind Heather T-shirt in red and blue. Same simplicity of design but the fabric looks more textured. For 2018, there's the Wine Red Heather Collection. Perfect for the coming Chinese New Year! Another of my pet peeves about online shopping is fit. The good thing about the online FITGEAR™ shop is that there is a size guide for men and women. Mine fitted perfectly. The Wind Lite Towel did not excite me at first sight. For one, I thought it small at 42cm by 93cm. Then there’s the fabric. The material lightweight microfibre defies all my ideas of what a towel should feel like… cottony fluffy. But the test is in the use. I must confess I haven’t quite come to terms with its size but I cannot deny its advantages. It’s lightweight and fits easily into backpacks. Despite its size, it can absorb an amazingly high quantity of water, up to 4 times its weight. I found it easy to wash by hand but throwing it into the washing machine works just as well. And like the Wind T-Shirts, dries within 2 hours hanging in the bathroom. Well, it takes a little longer if it’s handwashed and drip-dried. The Flexbot proves to be a boon. While I don’t bring water on my walks, the Flexbot is a great companion on my travels. Made of medical/food grade soft silicone, this bendable, leakproof water bottle can be rolled into a tight, compact shape when not in use. Stretched out, it can hold 750ml of liquids of temperatures from -600-1000C. You can even hang it from your backpack or on your bike.